Maya Turolla, a PhD candidate at the University of Bologna and Radboud University in Nijmegen, collaborated with IITA in Uganda to study how the drive to engage youth in agriculture is materializing in terms of development projects and the role these projects play in the lives of these youth. Maya spent 6 months, from January till July 2017, interviewing development stakeholders working with youth in agriculture, as well as youth engaged in agriculture throughout four subregions in Uganda. 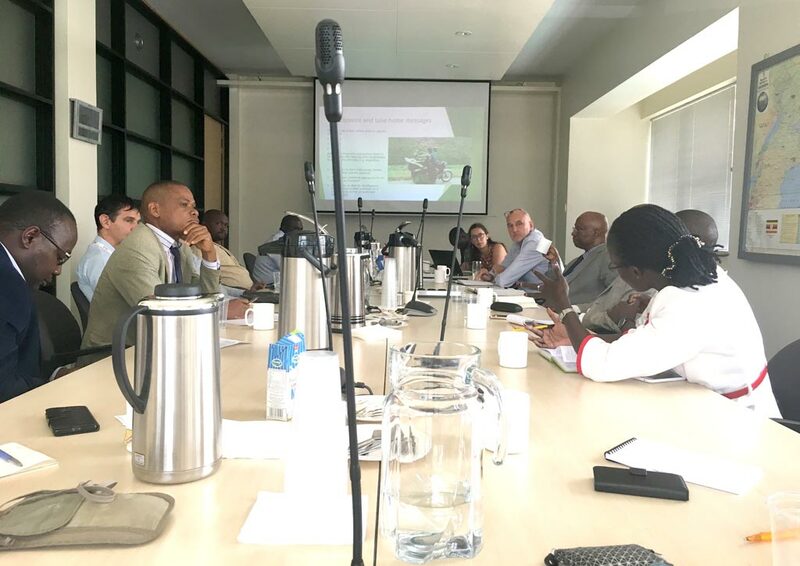 She presented her initial impressions and reflections from her time in the field to stakeholders promoting youth engagement in agriculture, at a meeting organized by the Embassy of the Kingdom of the Netherlands in Kampala. 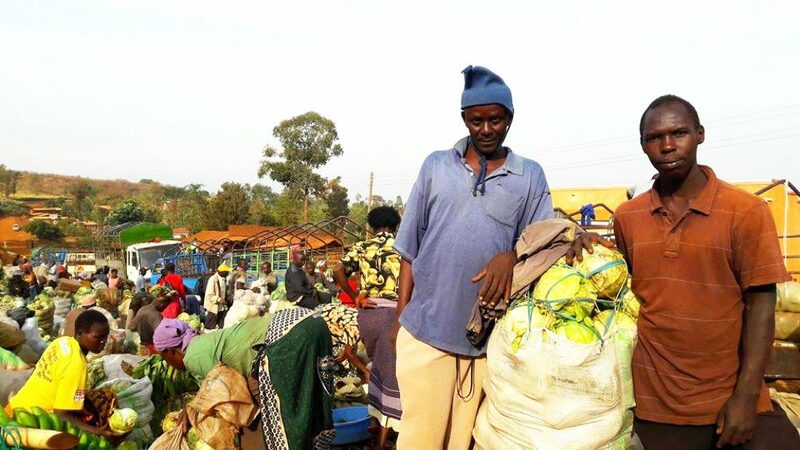 The latest statistics in Uganda show that 78% of the population is under 30 years, and 83% of the youth are unemployed. Based on these statistics, the youth are seen as one of the most vulnerable demographic groups of society. At the same time, they are also seen as a threat to society, as the risk of civil conflict is highest where a high proportion of the population is young. This puts Uganda in a precarious situation where a large part of the population is both young and unemployed, so justifying the comparatively new development focus on youth. Agriculture is one of the focal sectors in the effort to employ Ugandan youth, and it has led to several development programs, both public (government funded, the Youth Livelihoods Program) and a plethora of donor-funded projects. Through interviews with stakeholders at the national level, two different approaches to engaging youth in agriculture were identified. These were the private sector was driven and the public approaches. The private sector-driven approach focuses on implementation through private sector companies, where youth are selected from private and public networks and are provided with capacity building through training, market linkages, and agri-inputs. The public approach, which is run by government agencies, potentially targets all Ugandan youth interested in agribusiness. As part of the research, Maya added a control group, where young men and women in agribusiness who were not part of any development project were interviewed. Maya’s presentation on her preliminary findings sparked interesting reflections and discussions between the stakeholders present. One of the key points discussed was on how to define youth as the age bracket of this share of the population is problematic. It excludes farmers looking to benefit from the projects as much as the numbers of young people changing every day and the large differences within the broad age bracket of 15 to 35 years. Youth as a concept is more fluid and culturally bound, as indicated by one interviewed agripreneur who said: “I am not a youth, as I have been circumcised”. A critique of the development projects is that they did not address the different needs of the wide range of youth that the age bracket encompasses, as well as the regional differences in Uganda. The key reflection moving forward is that there is no one-size-fits-all approach to engaging youth in agriculture. The research also looked into how gender aspects were being addressed. Gender was in most cases addressed by looking at how many women were engaged in terms of numbers. Yet in development programs for youth in agribusiness, no specific attention was paid to gender differences (roles, tasks, capacities, etc.) within the youth groups targeted. This has led to cases of divorce, partners leaving, and household violence and most women have had to give money earned to their husbands. The key discussion points were on whether or not the social revolution (women’s empowerment) was happening before the cultural revolution (acceptance of equal gender role in society) had happened, and if this was the case, then is it only single women that can engage in agribusiness? The main reflection on this issue in the presentation is that only focusing on women is not enough, as the men’s role in the household also needs to be addressed. The discussion at the event echoes findings that to engage youth in agriculture, the projects should focus on highlighting agriculture as a business venture, moving away from subsistence agriculture. Dr Okeke Sebastian, Principal Country Programme Officer at AfDB in Uganda, encouraged youth “Not to look at agriculture as their parents and grandparents look at it, but rather as a business”. Modernization of agriculture is a key aspect in making agriculture a great opportunity for making money and increasing opportunities in the job market. This is all done from the perspective that the main problem facing the youth is unemployment and that agriculture is a key area to address the issue. The final remark on this was that there is a need to look into youth engagement in agriculture to see if it is really about changing mindsets; that agriculture is not a punishment or are youth just reflecting. Two youth involved in agribusiness in Kamu, Bulambuli District, on the slopes of Mt. Elgon. The final remark on this was that there is a need to look into youth engagement in agriculture to see if it is really about changing mindsets; that agriculture is not a punishment or are youth just reflecting reality that agriculture is not a profitable business to go into?